Replacing the air filter on a v6 and v8 Camaros is a very easy job. This how-to guide lists common filter part numbers for replacement and upgrades. 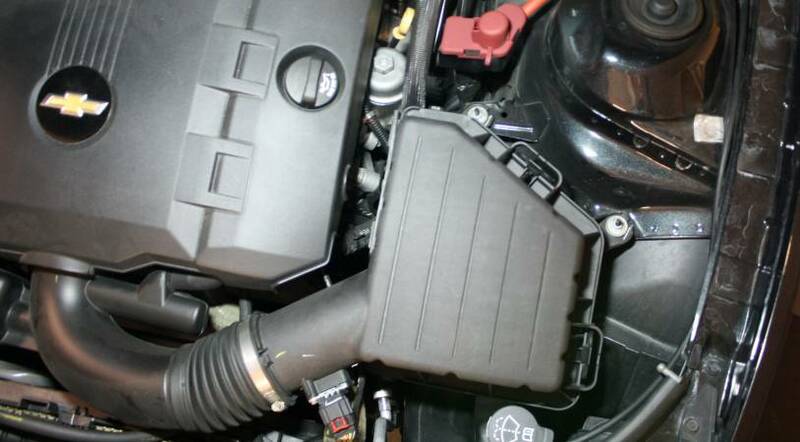 The Camaro LT, LS, and SS all use very similar air intake boxes and share the same filter sizes. 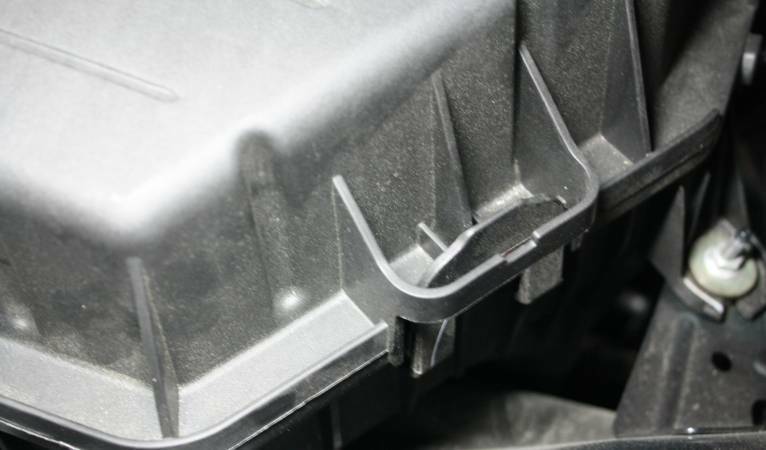 There are a lot of aftermarket options for upgrading the intake on your Camaro, but some feel it's better to leave well enough alone. If your just replacing the filter at the scheduled interval or upgrading to a high flow filter, this is the perfect guide for you. 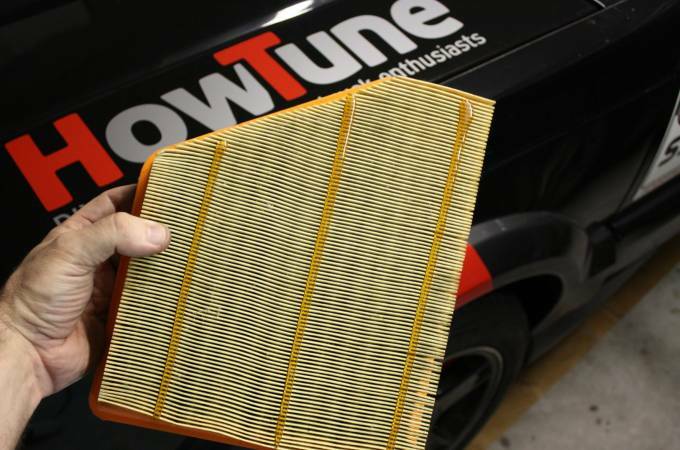 The Camaro maintenance schedule dictates that you check the air filter at every oil change, and change it least every 50k miles. This one's pretty easy, its the large box on the right side the engine bay. By squeezing the two clamps at the outside and outside rear edges of the box, you can separate the top from the bottom. Shown here is a close up of the one of the clips. 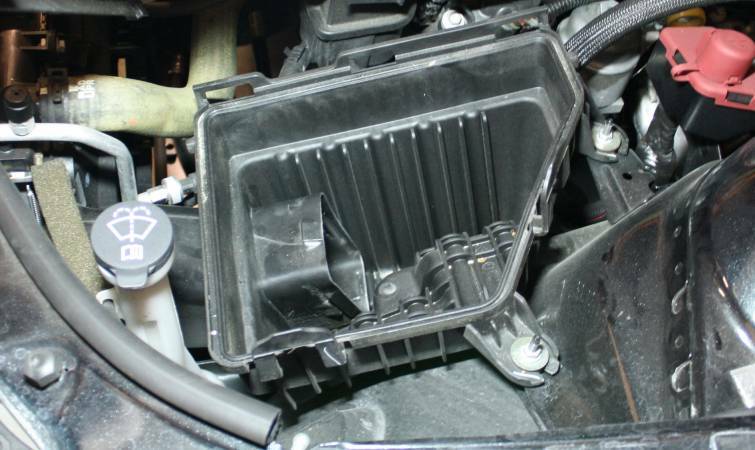 Once released, open the box a few degrees like a clam shell, then pull slightly away from the centerline of the car to disengage the inner hinge. If you're just checking for dirt to see if it's time to replace the filter, visually inspect the filter to see how dirty it is. 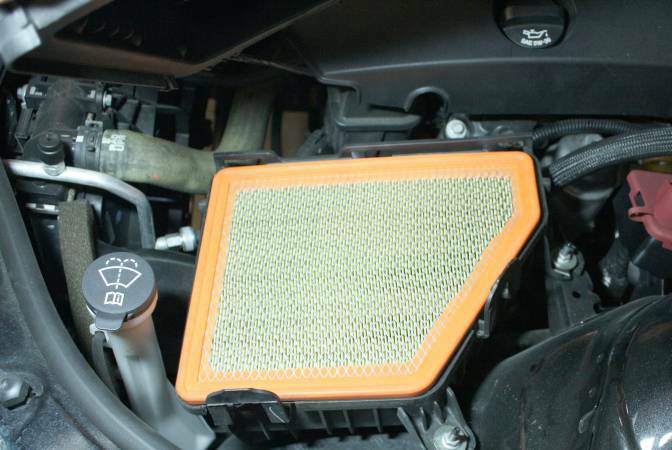 Slight discoloration is ok, however if there is a debris or large amounts of dirt visible in the filter, replace it. This one looks great after 30k miles. Clean out as much of the debris and stuff caught in the bottom of the intake box. More then likely you'll find leaves and dirt caught here. Installation is a breeze, just sit your filter back in the box face down (it'll only go in one way). Re-align the tabs on the intake box top's edge near the engine. Close the box, making sure the clamps click back into place. Tell everyone how awesome you are by sharing this article.